I have been practising yoga for the last 21 years.My passion for Yoga enabled me to experience first hand the many body balancing health benefits of regular practice and prompted me to seek a deeper understanding of the science of Yoga. I have personally experienced the myriad benefits of regular yoga practice; it has given me the tools to cope with the stresses, strains and upheavals that are a natural part of the undulating road of life and it has fostered a deeper awareness of myself. 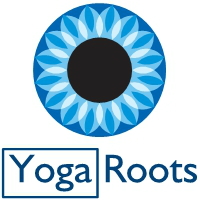 In 2012 I qualified as a yoga teacher after completing a two year training diploma with Yoga Therapy Ireland, a certified Yoga Alliance course (RYS 500 hours). The course included over 500 training hours, with 50 hours focused on Anatomy and Physiology which has given me a strong understanding of the physical effects that yoga has on the body and of the importance of good and safe alignment during practise. After experiencing the benefits of using yoga as a tool for managing labour during the birth of my two children, I decided to study to be a pregnancy Yoga teacher with Yoga Therapy Ireland in 2014. The education I received with Yoga Therapy Ireland has enabled me to teach yoga from a place of compassion and surrender to whatever is presented to me in a class setting. I am also very interested in the Integrative Yoga Therapy work of Bo Forbes, Elemental Yoga and the Anatomy and Physiology presented by Lesley Kaminoff. I look forward to working with you to show you how Yoga might support your lifestyle, or recovery from illness and how regular practice can restore balance, harmony and an increase of energy to your body.